Tired of fighting to find good content? Movies, Games, Music, Books & More - Only $39.95/mth. Come get some! You'll love our Knockout titles. Available on all platforms. Anytime. Anywhere. We have over 3200 games from massive hits to rare gems to timeless classics, with more added every week. It's more games than you could play in a lifetime. Find what to listen to next by following friends, tastemakers, influential critics and artists themselves. 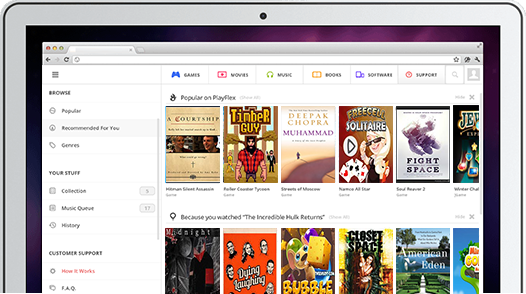 Check out the most popular albums in your network or explore curated playlists. Build a collection of your favorites, so they’re always close at hand, and share what you love with the people who might love it next. Take Vi-Game with you everywhere you go. Vi-Game; available all over the world. Spanning the entire globe, Vi-Game is reaching more and more customers in the world's major markets. © 2019 Vi-Game. All rights reserved.